Home RV Stuff	Fantasies of Summer…. 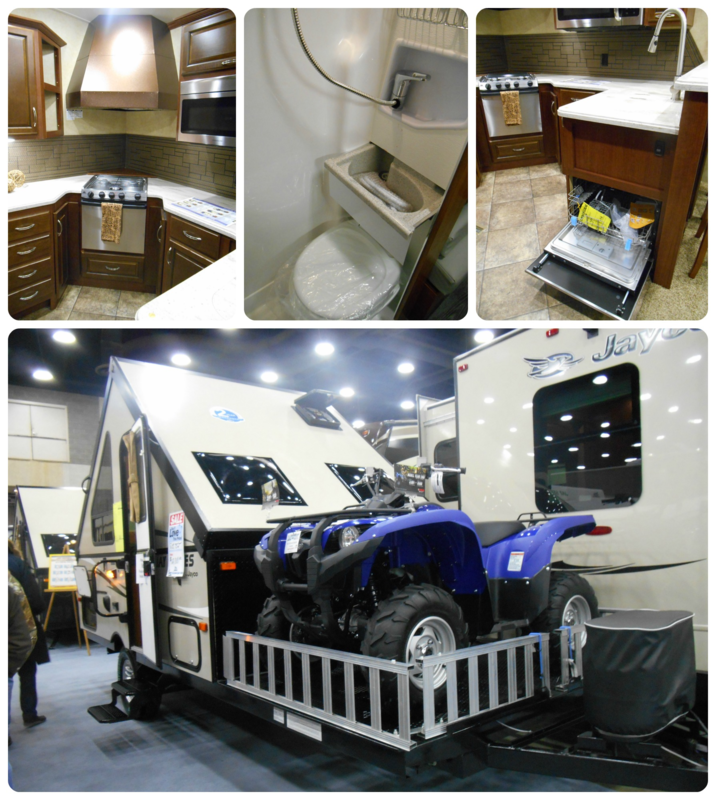 Temperatures are in the single digits, which means it’s the perfect time to visit the RV & Boat Show and dream of summer. Tickets were provided courtesy of our friends at Boomer Travel Patrol, and I was there when the doors opened. 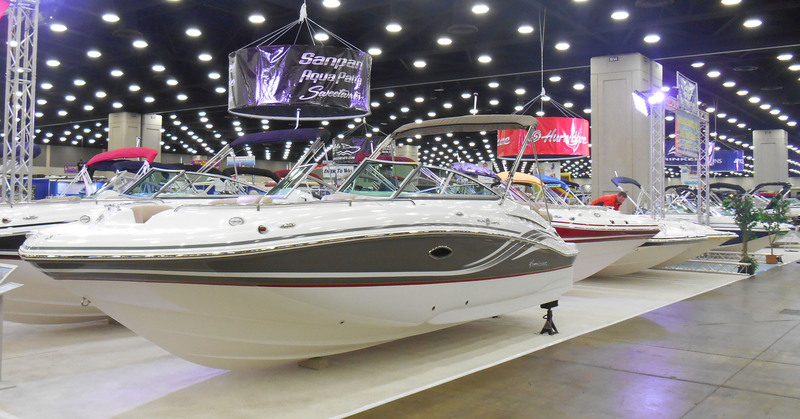 This year’s show has 200 RVs and 300 boats on display, and dealers are ready to sell. 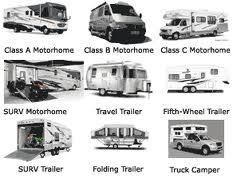 Prices for RVs ranged from under $10,000 for a Pop-Up Tent Trailer to over $300,000 for a luxury Class A diesel pusher. The most popular units are the in-between price range – towables (travel trailers and fifth-wheels) and Class B and C motorhomes. First impression is a big yawn – there’s way too much brown décor these days. It makes the units look dingy and cramped. 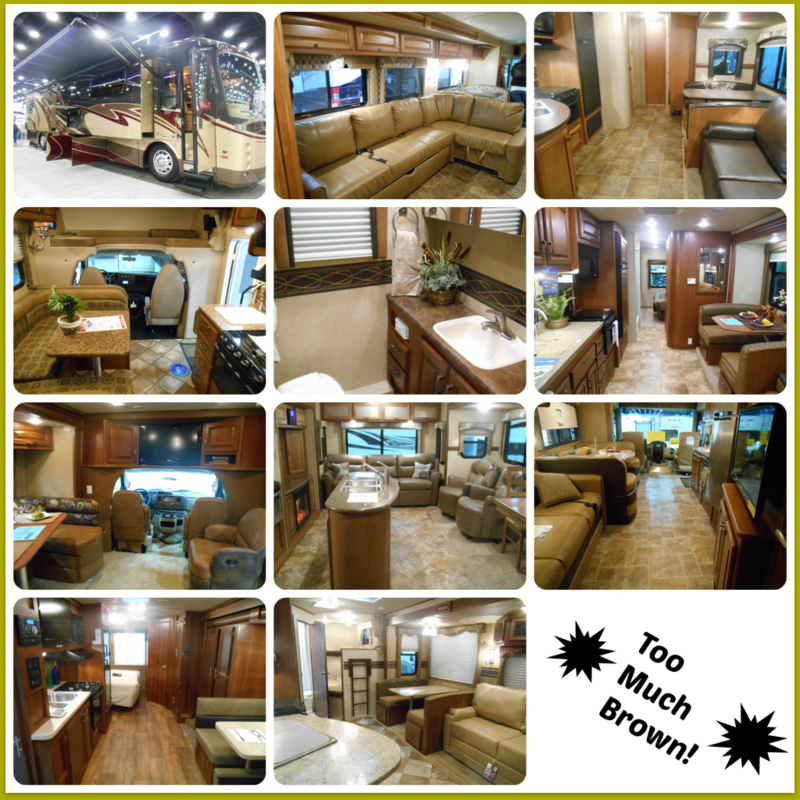 Memo to RV manufacturers: There’s lots of other colors in the spectrum, you don’t need to fixate on dog-poop brown anymore. Go look at boats to find better color schemes. And hire a good interior designer! 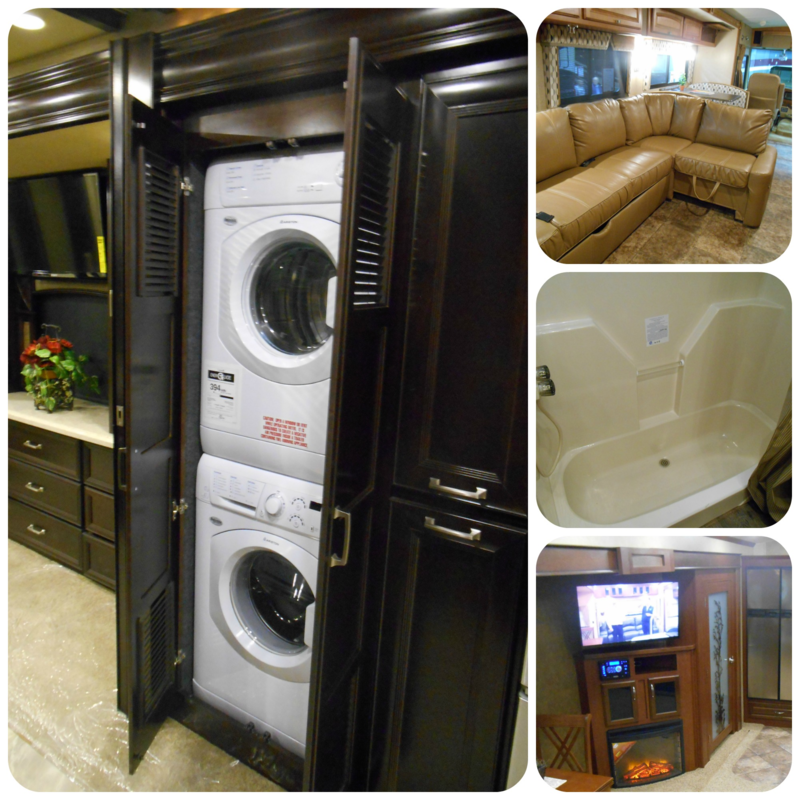 There were quite a few features that caught my attention: garbage can access through the counter, space-saving pull out bathroom sink in a van conversion, residential-style stove hood in a giant fifth-wheel, miniature dishwasher at the end-run of a cabinet, 3-way access bin storage, and the pop-up A-Liner tent with a toy-hauler carrier built into the trailer. Of course if we’re just dreaming, I’d want the built-in washer and dryer, electric fireplace, giant couches, and a real tub to soak in after a long day of hiking. 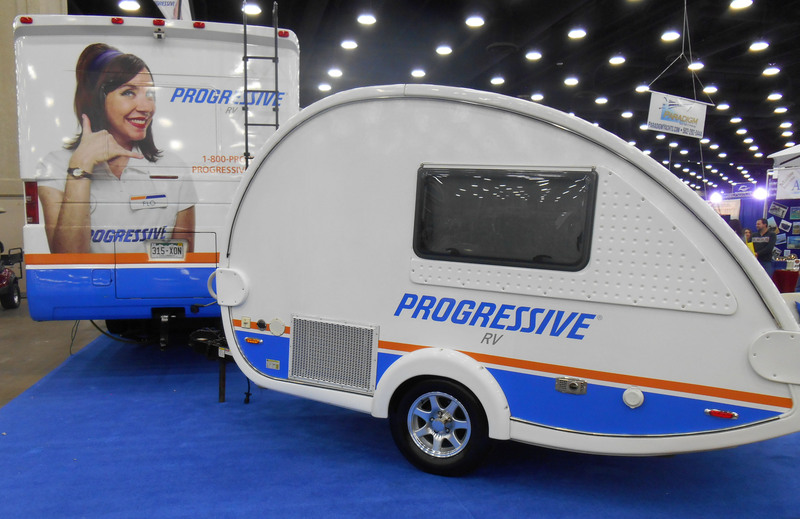 This RV show tends toward the middle-of-the-road buyer, focusing on affordable trailers and motorhomes. So the highlight was the American Revolution Class A with it’s over the top amenities (two bathrooms), luxury appointments (walk-in cedar closet), and first-class furnishings (yummy!). All at a hefty price, of course. 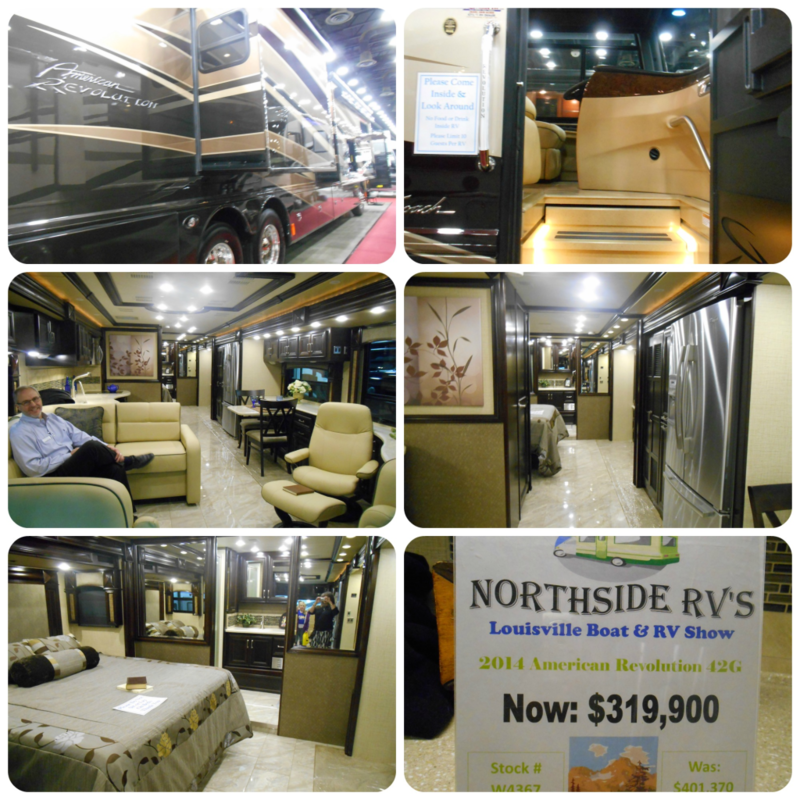 Had lots of fun at the RV Show and plan to return again this weekend. Who knows, maybe I’ll even look at the boats! Maybe we could rent it for a weekend – haha! We'll send you a note when the next adventure is posted!